I always reminisce over things Kenyan whenever I get homesick. Kenya is the land of my childhood, the place that I still call home. I like to tune in to all the happenings and buzz over there. The latest news that got everyone talking is the eagerly awaited Standard Gauge Railway, the Madaraka Express, that made its maiden journey from Mombasa to Nairobi on Madaraka Day, June, 1, 2017. This was a momentous event that made headlines in the region and around the world. My mind raced back to my first ride on the old train from Nairobi to Mombasa. It was called the Lunatic Express, part of a 1,675 mile railroad constructed by the British to link Lake Victoria to the Indian Ocean. Started in 1896 and completed in 1901, this railway line was built to counter the threat of German annexation and support the expansion of British Imperial power into East Africa. 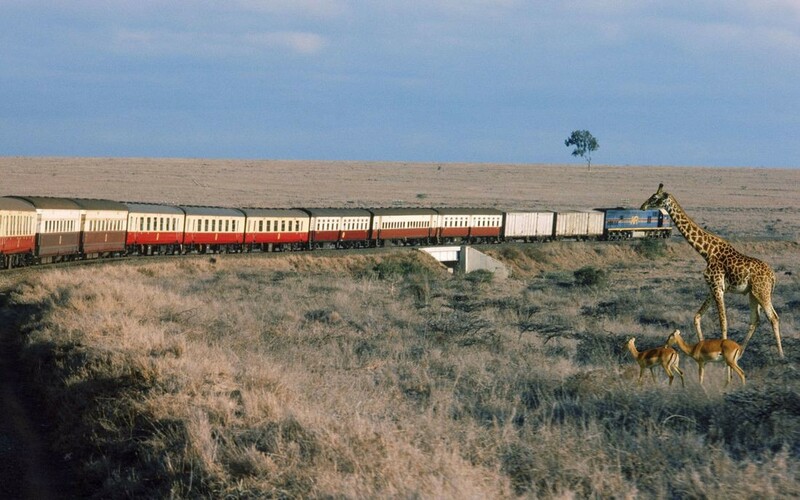 Then commissioner of British East Africa, Charles Eliot, had this to say about the Lunatic Express: “It is not uncommon for a country to create a railway, but it is uncommon for a railway to create a country.” This sounds distasteful considering that the welfare of the local people was never taken into account in constructing it. Nevertheless Kenyans agree that their Republic was, in many ways, created by this railroad. 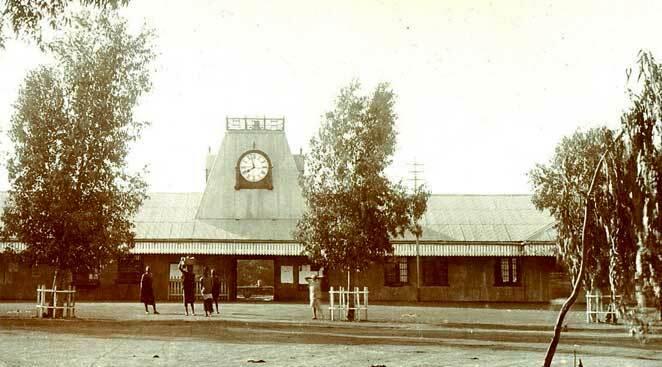 The capital city, Nairobi (“place of cool waters” in the local Maasai dialect) was founded as a small railway depot in 1899. And as the railway expanded it triggered events that would shape the contours of a new nation. While flagging off the new line, Uhuru Kenyatta, Kenya’s fourth president, said that his country had finally turned the page on its colonial past. To mark the occasion I thought I should share some reflections on what many see as a turning point in Kenya’s history. I will do this through a three-part story starting with my childhood memories of the Lunatic Express , followed by a discussion of some of the events surrounding it and how they are memorialized by Kenyans. I will then look at some changes and developments brought by the new railway (positive and negative) and conclude with parting thoughts about whether the promise of true independence is indeed at hand. Madaraka is a term coined by Kenyan freedom fighters to commemorate their brutal, bitter, but heroic struggle against British colonialism. President Kenyatta paid tribute to this struggle shortly before getting aboard the Madaraka Express on its maiden journey. 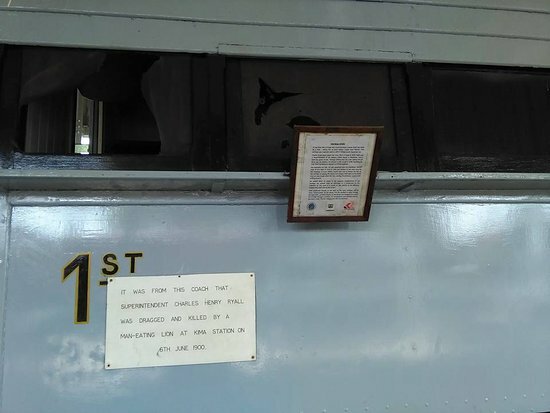 He declared: “A history that started 122 years ago when the British kicked off the train to nowhere…dubbed the Lunatic Express, but today we celebrate the Madaraka Express, to shape Kenya’s story for the next 100 years”. He was accompanied on the journey by school children representing Kenya’s 47 counties. Kenya’s struggle for independence and its post-colonial triumphs and tribulations cannot be appreciated without understanding its railway history. For the interested visitor the Nairobi Railway Museum is a must see heritage site right next to the station pictured above. There, you will find the curator, Mr. Elias Randiga, whose immense knowledge of key historical events during the construction of the Lunatic Express will leave you transfixed. The highly knowledgeable staff at the museum will share stories behind each piece of history there: the locomotives, coaches and pieces of rail as well as extremely valuable documents and correspondence dating back to the 1800s (incidentally one of the locomotives on display was used in the 1985 world-acclaimed Hollywood movie, Out of Africa, starring Robert Redford and Meryl Streep). I was eight when I first rode the Lunatic Express. I vividly remember all the details of the iconic journey—one of the world’s most epic train rides—(the last Lunatic Express pulled out of Nairobi Railway Station one final time on April 28, 2017). Dinner was served shortly after the train rolled out of the station. A steward signaled dinner time by walking up and down the cabin corridors ringing a bell. The Victorian décor of the dining car gave one a feeling of stepping back in time. This traditional British dining experience was elegant and very formal: waiters and waitresses wore black and white uniforms and the tables were set with spotless white tablecloths, silver cutlery and china. We were treated to a delicious three course meal. Priceless pictures of key moments in Kenya’s rail history hang neatly on the walls of the dining car. Our bedroom suites were pretty and quaint (the beds were made while you had dinner). The rocking motion of the train sent us to sleep almost as soon as mum tucked us in. The next morning we were woken by the morning sun rising over stretches of savannah, as far as the eye could see. This was undoubtedly the most memorable part of the journey (–the Lunatic Express snaked through three world famous game parks, Nairobi National Park and Tsavo East and Tsavo West). The sightseeing was magical—from our cabin we spotted elephants, zebra, buffalo, antelope, Thomson’s gazelle, wildebeest, impala and giraffes. Breakfast was served as the train chugged along its final stretch to Mombasa. There was a wide selection of cereal, fruits, and fresh juices, and toast, sausages, bacon, and on and on. As we ate, we enjoyed front row seats to some of Kenya’s breathtaking landscapes and wildlife. One of the dining cars in first class. When we rode it pictures of key events hang on the walls. Photo: Thee Agora. Since 2013 I have taken the Amtrak from Washington to Montreal several times, a ride dubbed as one of the most scenic in the world. No offense to my American colleagues, but as beautiful as it is, this ride pales in comparison to the Nairobi Mombasa one. The Lunatic Express was on the “to do list” of hundreds of thousands of foreign and African travelers over the decades. Those who rode it will undoubtedly hold on to many memories for decades to come. Next time we will look at why it was called the Lunatic Express. This entry was posted in Africa and tagged Kenya. Thanks Peter. Not sure if I replied already. My next post will look at the new SGR.